Using LeagueRepublic to Enter a Result. How to Enter a Result: You will need to click the LeagueRepublic image on the League News pageto be taken to the League Republic site, here you will need to sign in (red button, top Left) You will then see a page listing 'current sites' , select Southampton & District Bowling Association and press the red button 'Team Administrator', This will take you to the only page available to you, where you can to enter the result. 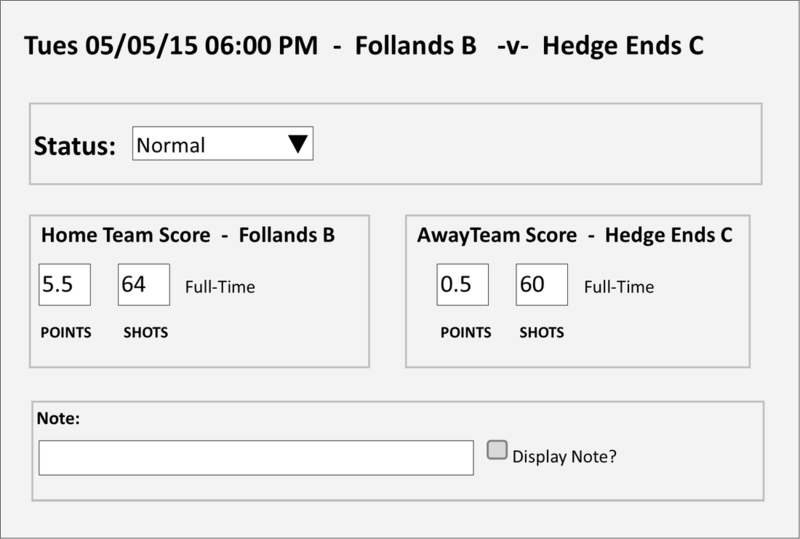 NOW the next bit is important: You will see two teams listed (Home Team score, & Away Team Score) with 2 white boxes under each team with the Words ‘Full Time’ You need to enter the Points in the left side box, and the Shots in the right side box (For each Team). you can also leave a comment in the box if you wish. once you are sure everything is correct, press the Red 'Update' Button. I have put together a 'Guide to LeagueRepublic' for the Association, you can download a copy here. ​Android and Apple iPhone users can download the app from their respective app stores. It is not available on other mobile operating systems. You can download the LeagueRepublic Team Admin app from Google Play Store and Apple's App Store. After downloading the app, you'll need to sign in using your existing LeagueRepublic username and password or your Facebook account that has already been linked to a LeagueRepublic account. You'll then see the list of recent and upcoming matches. Only matches that are due to happen +/- 3 days from the current day will be listed here. You enter the result of your competition tie in the same way as you would a Match result as above. On the LeagueRepublic site, In the bottom right hand corner you will see an chat icon - click on that to chat with us. Our working hours are 8am through 5pm GMT Monday to Friday. We check messages occasionally outside of these hours.